What a person owns while they are alive is their “estate.” When a person passes away, their estate goes through a court-supervised legal process referred to as probate administration, which involves identifying, gathering, and distributing the assets of the decedent. If the person did not have a valid Last Will & Testament, the court will first need to identify the deceased’s statutory heirs: The relatives who will inherit the estate under state law. If the person had a valid Last Will & Testament, that step is skipped and instead the court will “admit” the will to probate and follow the instructions it contains. 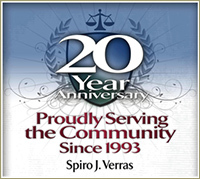 At Verras Law, we know that probate law in Florida can seem very complex. Our experienced attorneys strive to make the process as easy as possible for our clients in the Tampa Bay area. Florida probate law offers three types of proceedings to transfer decedents' assets to creditors and beneficiaries: disposition without administration, summary administration, and formal administration. In cases where a decedent leaves little behind, this process allows an individual who paid for the decedent's final expenses, such as funeral and expenses of the last illness, to be reimbursed from the assets of the estate. Disposition Without Administration can only be used for small estates that do not include real estate, and in which the remaining assets are either exempt from creditors’ claims or are less than the final expenses. This is the only type of administration that can be done without filing petitions with the probate court, and is usually handled without the assistance of a probate attorney. This is an expedited process that can be used if the death occurred more than two years ago or there are no creditors, and the value of the estate subject to administration, excluding non-probate assets, does not exceed $75,000. Since a personal representative is never appointed in a summary probate, this option is not appropriate for an estate that will require anyone to take substantive action beyond initiating the process. The process is initiated when the designated personal representative or another interested parties files a Petition for Summary Administration. Even if there are no known creditors, if the decedent has been dead less than two years we recommend also publishing Notice to Creditors. If the court determines the estate qualifies for summary administration, it will issue an order releasing the property to the beneficiaries. Formal Administration is required if the value of the estate exceeds $75,000 or if there are unpaid creditors and the decedent has been dead for less than two years. In a testate probate, the individual named as the personal representative, commonly called the executor, must petition the court to be appointed as the personal representative of the estate and the court will issue Letters of Administration. In an intestate probate, the court will determine who is qualified to serve as personal representative. While the court supervises the proceeding, Florida law also requires that the personal representative must be represented by an attorney who is admitted to practice in the state, unless there are no other interested parties in the estate. There are many additional steps and pleadings that may be required based on the complexity of the case, but in a routine testate formal probate the process generally takes from six months to one year to complete. The lawyers at Verras Law are well-versed in all aspects of probate and estate administration and our attorneys have extensive experience in the Florida Probate Courts. We have represented personal representatives handling estates of all sizes in counties throughout the state of Florida. We serve our clients in the Tampa Bay area with the compassion and knowledge to guide them through the emotional challenges that arise after the death of a loved one, and will strive to minimize the hardship faced by grieving family members. We also know that it is common for someone to contest a will during the probate process. If you are faced with a challenge to the validity of a will, the disposition of the assets, or your nomination as an executor, we also have extensive experience in probate litigation and we are here to serve. Whether at our main office in Palm Harbor or at our by-appointment offices in the Hyde Park neighborhood of South Tampa and in downtown St. Petersburg, Verras Law offers the sophistication and technology of a large firm and the personal attention that can only be provided by a small practice. If you have questions regarding the administration of a loved one's estate, call our office today at (727) 493-2900.